Join Alpha Entertainment At Vision Every Friday & Saturday Night! Bottle Specials Are Available and Will Insure Free Entry & Free Cover. Celebrate Your Birthday At Sound-bar On Friday! 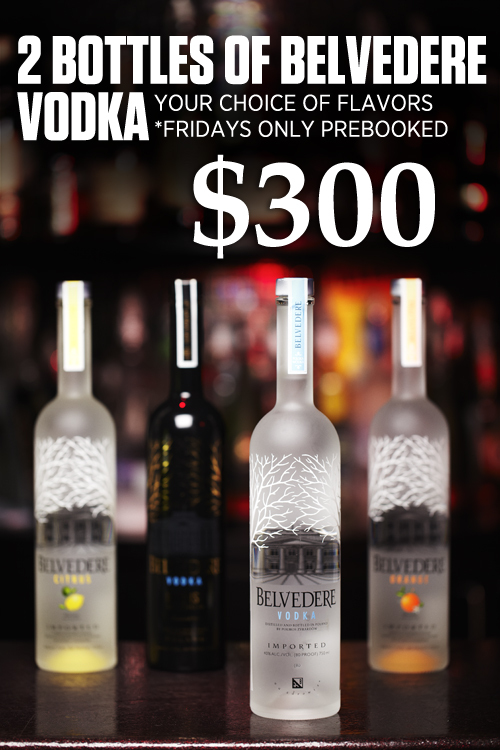 2 Belvedere Vodka bottles for $300 (Flavors included). 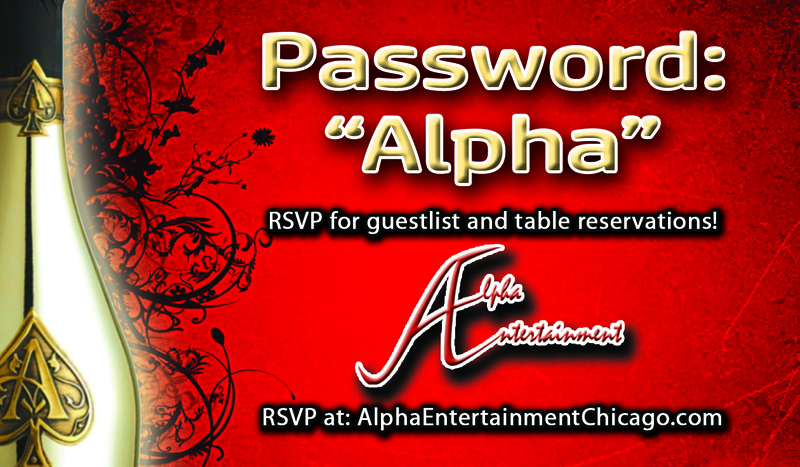 Includes free cover and express entry for up to 8 guests. 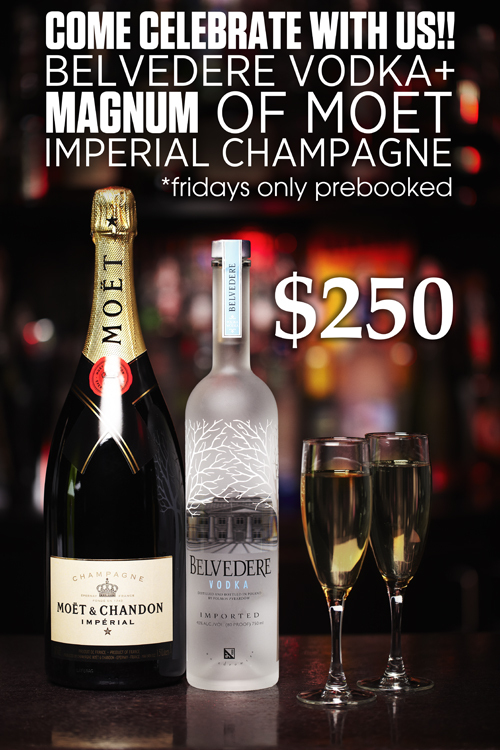 1 Belvedere Vodka + Magnum of Moet Imperial Champagne (1.5L) for $250. Not Including 11.5% Tax & 20% Gratuity. 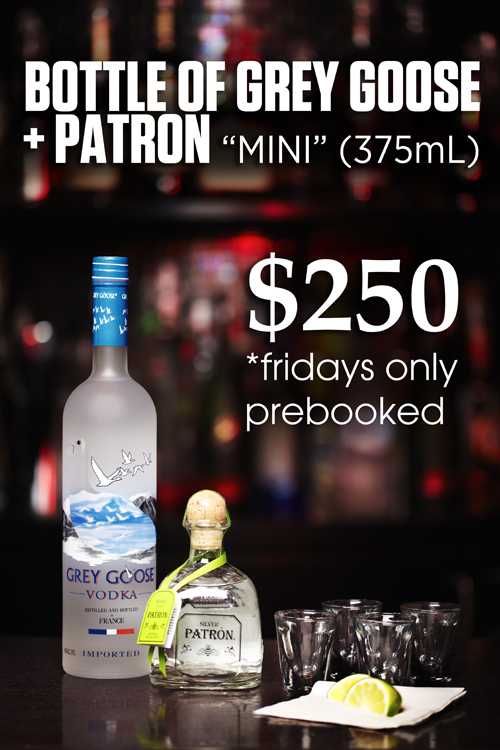 1 Grey Goose Vodka + Patron Mini (375mL) for $250. Includes free cover and express entry for up to 5 guests. All Reserved Bottle Service will Be First Come First Serve After 1:00 AM. Late Arrival Is Not Recommended. Must Contact Before 7PM The Day Of Bottle Reservation.